WHAT D3 RESEARCH IS BEING DONE IN THIS REGION? 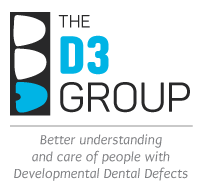 A diverse group of researchers across Australia and New Zealand are actively investigating various aspects of Molar Hypomin and other D3s. Their published work (highlighted blue in the Bibliography), extends from population studies to clinical and applied investigations, and through to basic lab science. And as outlined below, their research skills span public health, several clinical areas, and a variety of basic sciences including biochemistry, molecular biology, toxicology and biophysics. Having all these researchers networked with other important contributors under the D3G umbrella provides unprecedented potential for undertaking effective translational research into D3 care and prevention. 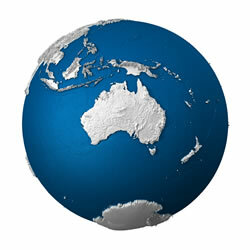 Today's strong research capacity builds on a rich Australasian history of major contributions to the D3 field, including pioneering contributions towards epidemiological indices, prevalence, incidence, pathogenesis, aetiology and risk factors, tetracycline staining and enamel pigmentation, fluorosis and fluoridation, syndromes and biochemistry. 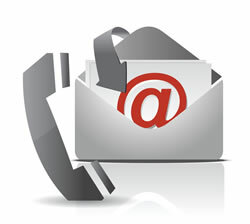 Researchers are generally more than happy to talk about their work, whether it be to practitioners or the public – so please be encouraged to contact them about this. Some research groups may be in the position to provide vocational guidance or work experience for curious students, and maybe even some hands-on work for interested practitioners (although Lab Safety regulations can be constraining). WHERE CAN I FIND A LOCAL D3 RESEARCHER? While researchers' interests and skills often defy categorisation, we have assigned each research group to (only) one of the three main areas of investigation into D3. A dentally trained epidemiologist, Peter is widely respected for his emphatic population studies of Molar Hypomineralisation in Western Australia. His broad interests in child oral health span burden of disease, causal factors, therapy outcomes, and translation of research findings into policy. A paediatric dentist and PhD-qualified researcher, Erin has broad experience in the Molar Hypomin field having published on prevalence in Australian and NZ subpopulations, management of clinical issues, and basic structural characterisation of Hypomin lesions.